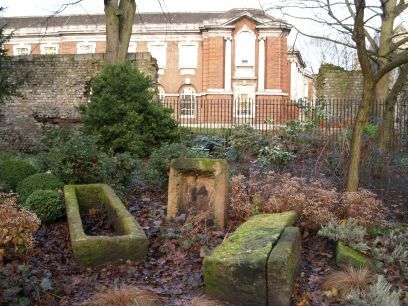 The entrance to the Museum (below), with the ruins of St Mary's Abbey in the distance. 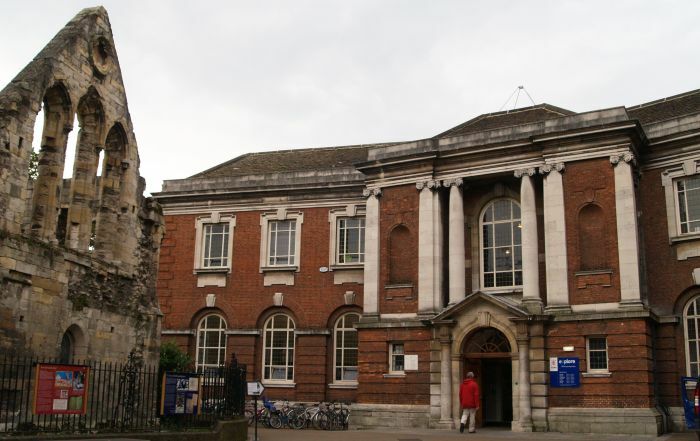 The building, dating from 1827, is built in the neo-classical style and houses collections of archaeology (prehistoric-Roman-Viking etc. 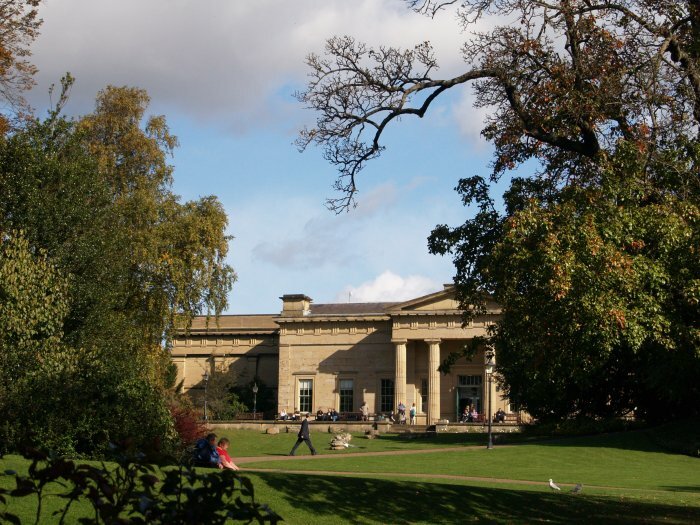 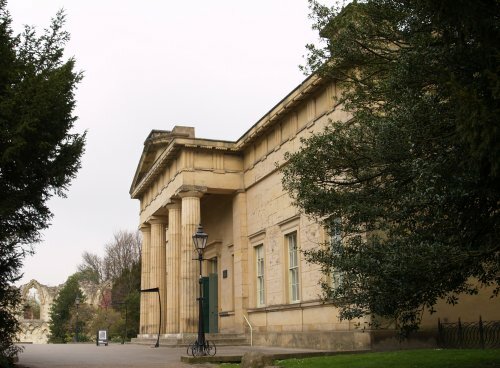 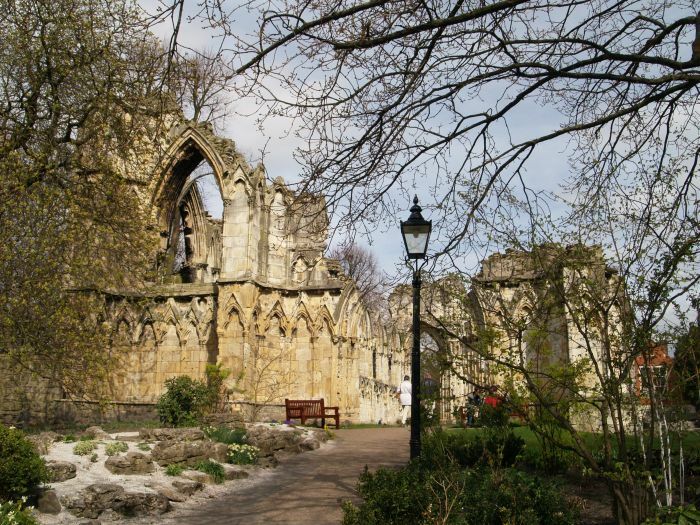 ), natural history, geology and pottery from all over Yorkshire. 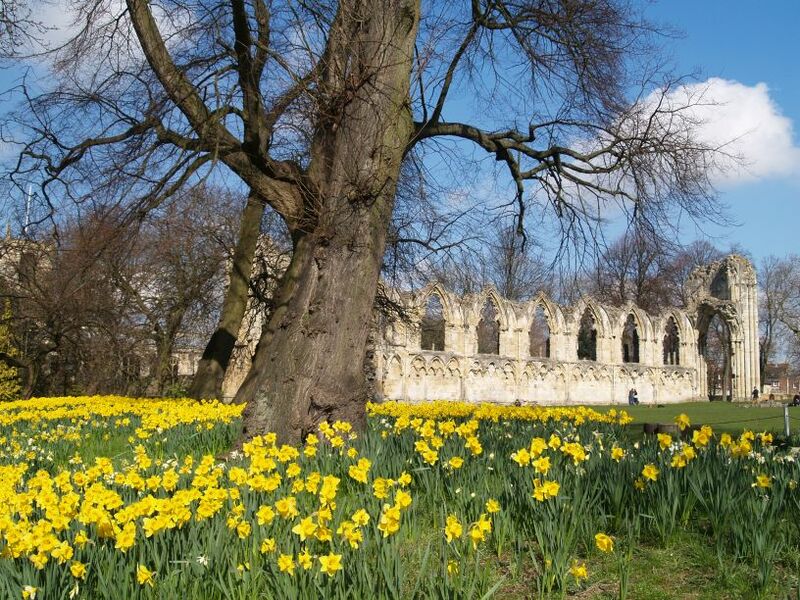 The Museum Gardens are particularly beautiful in the Spring. 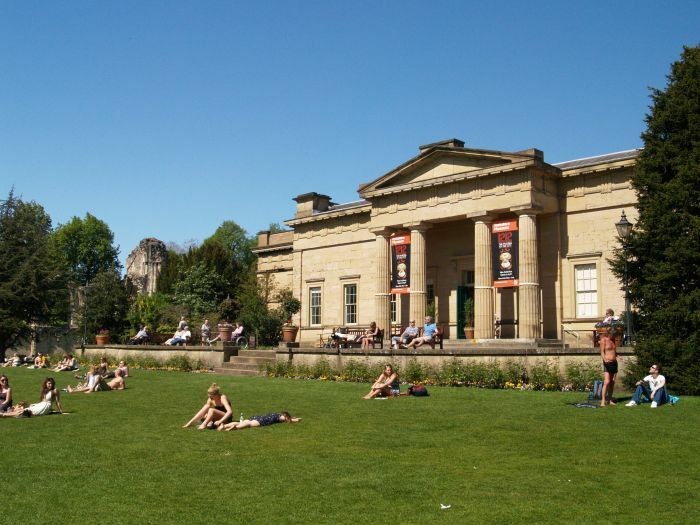 The Museum Gardens are a popular venue on a sunny day! 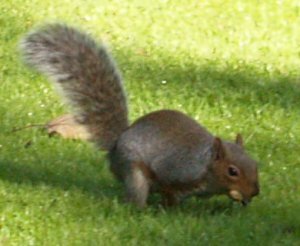 Nice to see wildlife in the Museum Gardens even if its vermin! 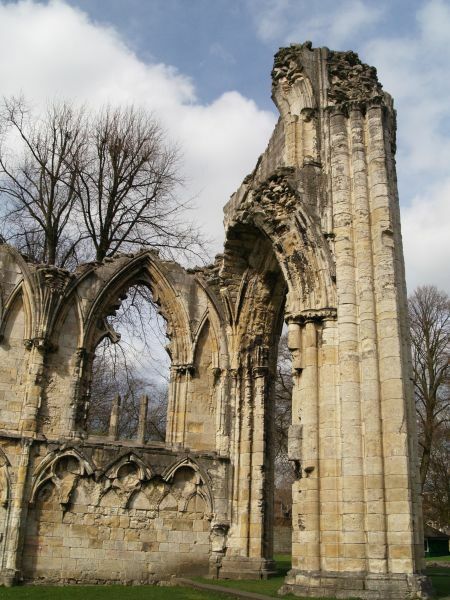 The ruins of St Mary's Abbey, derived from a monastery founded by Stephen of Lastingham about 1080. 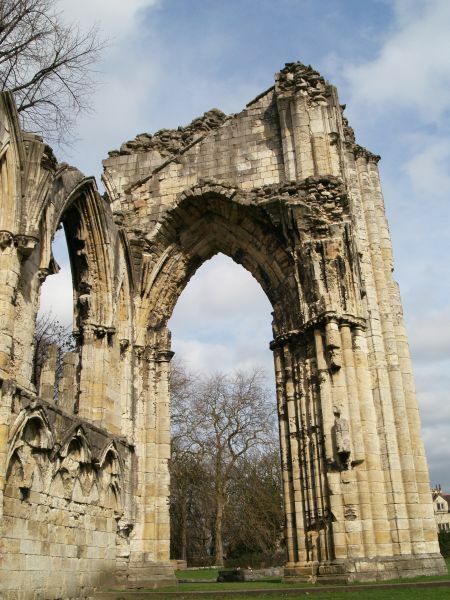 King William Rufus granted more land to enable the great Abbey to be built and laid the foundation stone himself! 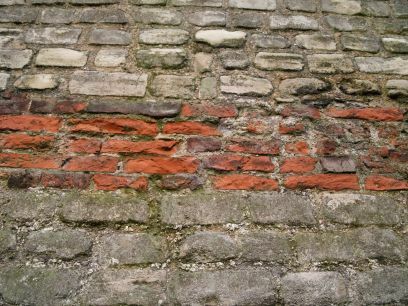 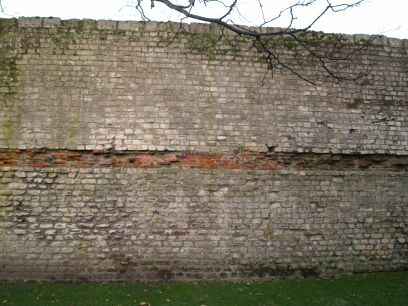 Only the foundations of the Norman building remain and most of what you see is late medieval stonework. 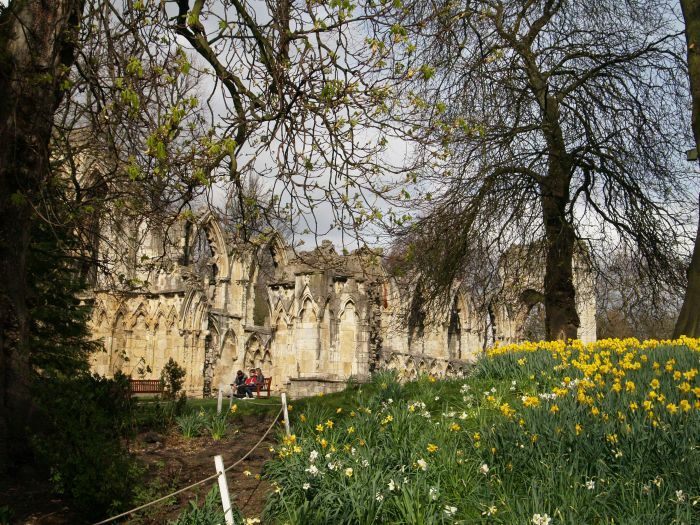 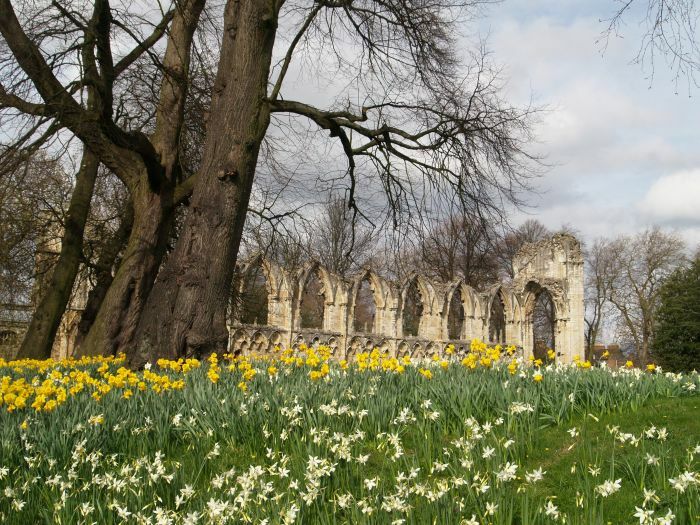 Spring amongst the ruins of St Mary's Abbey in the Museum Gardens. 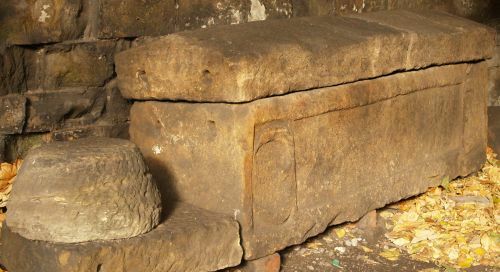 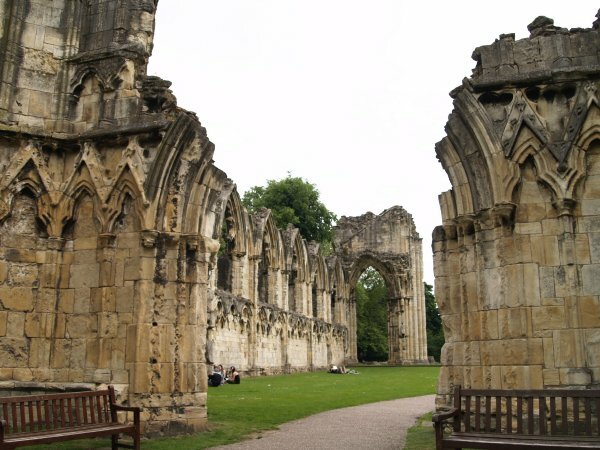 There are enough remains to show what a wonderful piece of architecture the abbey must have been. 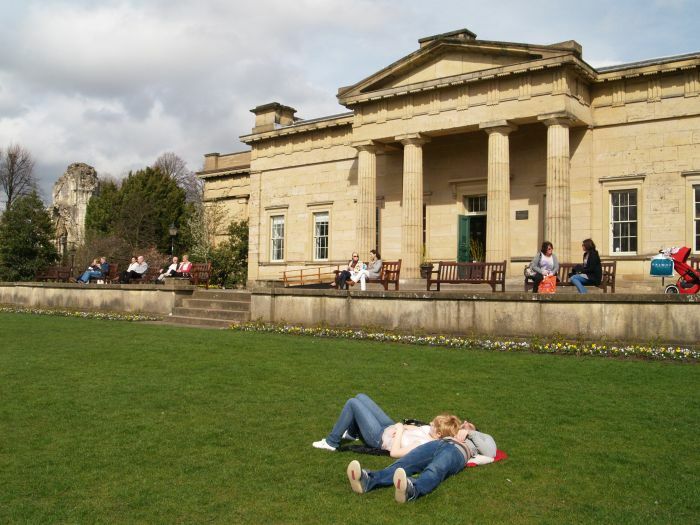 Its a great place for a picnic away from the hustle and bustle of the busy city centre. 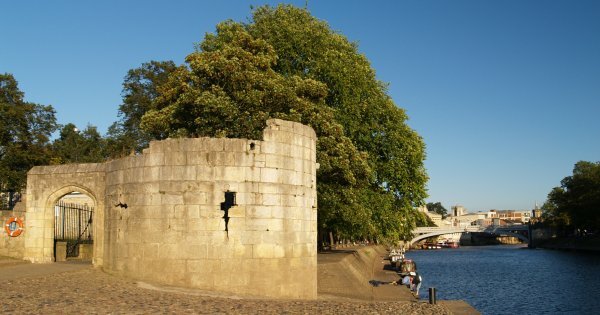 A ruined round tower (of St Mary's Abbey walls) on the north-east bank of the River Ouse. 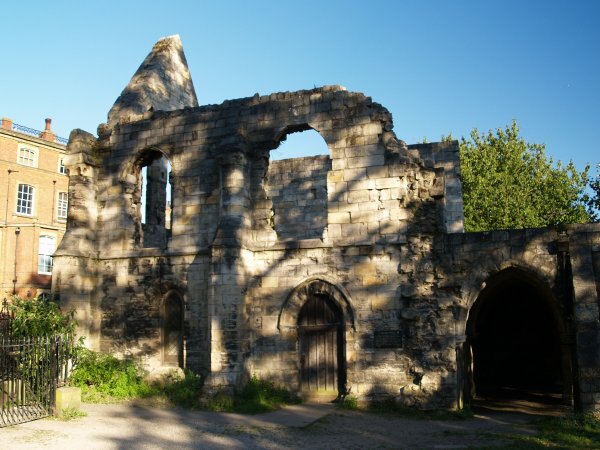 The two storied 13th-16th century Hospitium 'guest house' of St Mary's Abbey. 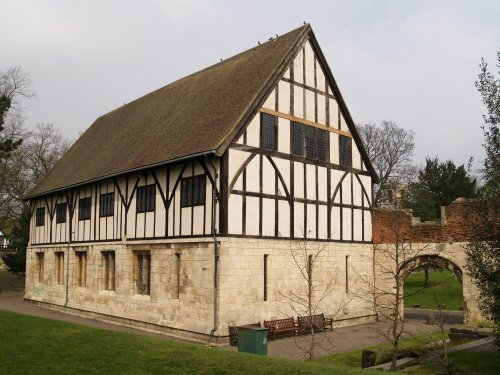 The building has a stone built lower floor and a framed timbered upper structure. 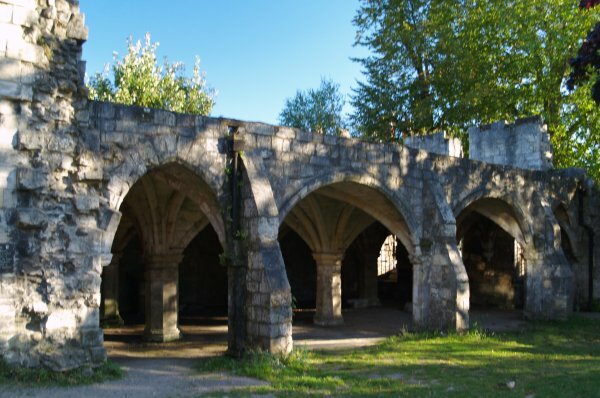 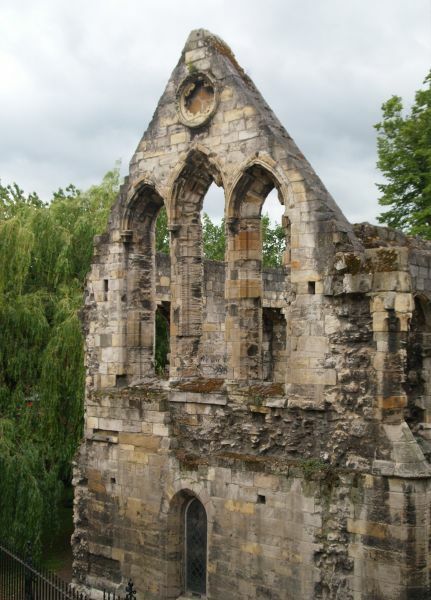 Some of the original water gatehouse survives on the left, which was a grand entrance to the abbey from the river. 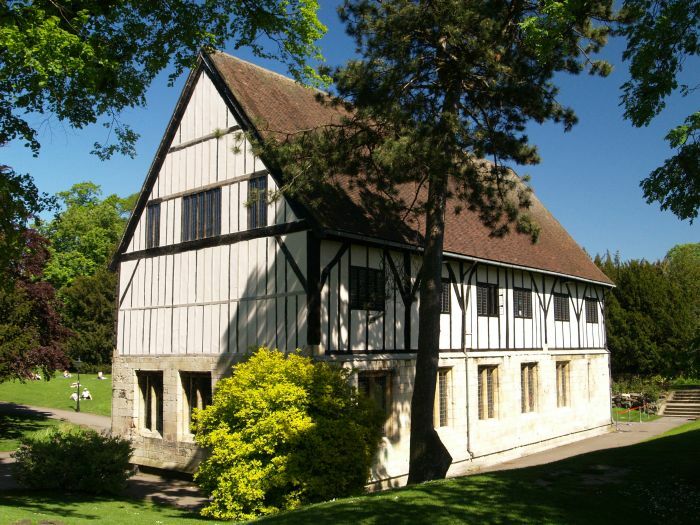 The Hospitium has been extensively rebuilt and is now part of the museum. 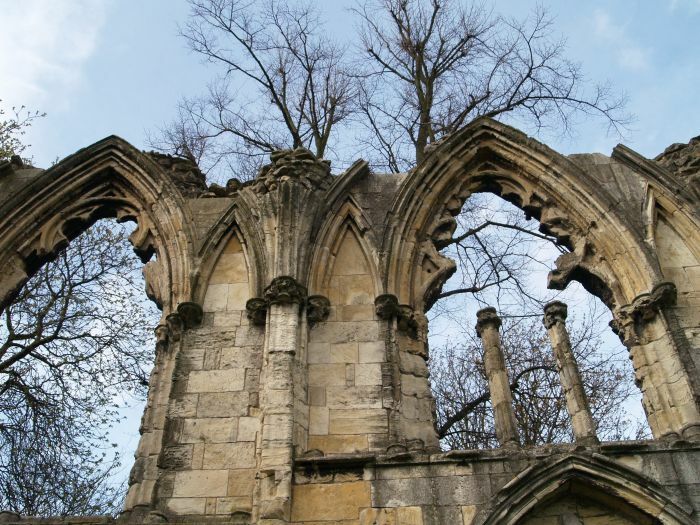 The ruins of St Leonard's Hospital, built at the expense of John Romanus who died in 1255. 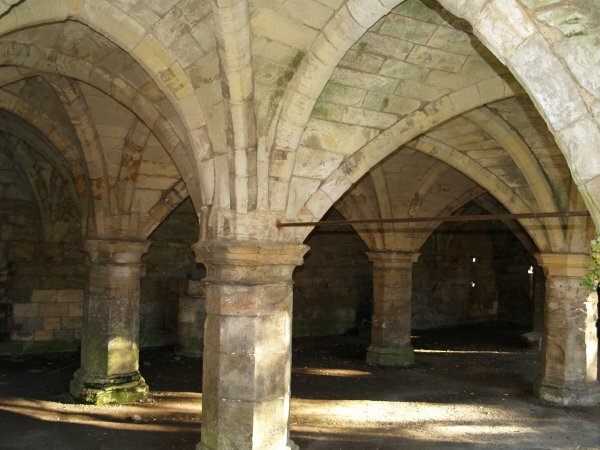 This building consisting of a vaulted crypt with a chapel above formed part of St Leonard's Hospital which at one time was the largest hospital in the North of England. 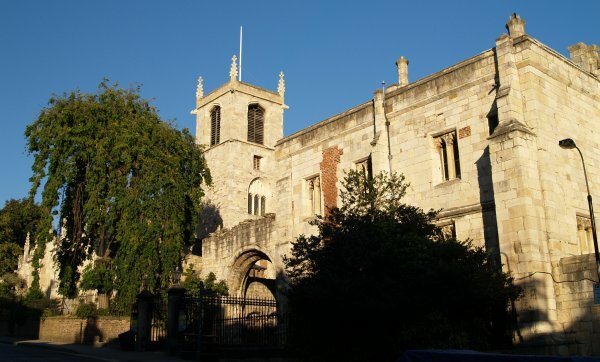 It was originally known as St Peter's but was refounded and rebuilt after a fire in 1147 as St Leonard's. 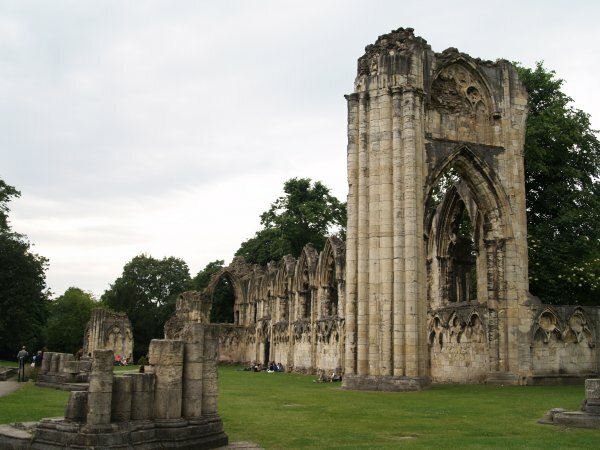 It was dissolved by King Henry VIII in 1540 and between 1546 and 1697 formed part of the Royal mint in coinage production. 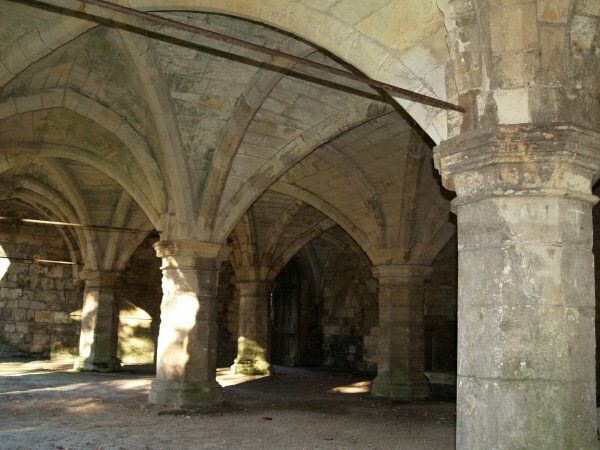 Some of the fine ribbed vaulting still stands! 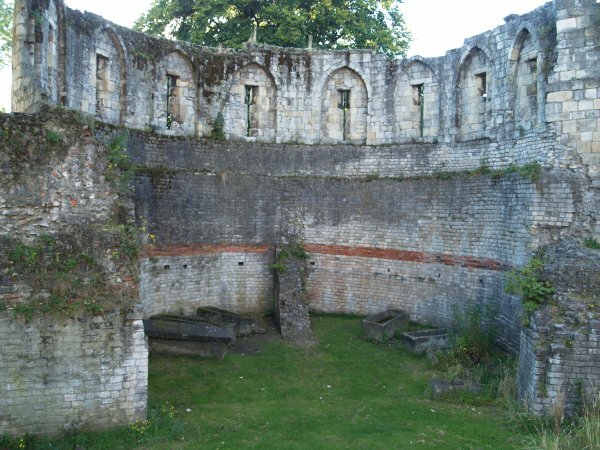 The interior of the Multangular Tower, with its Roman base and Medieval upper layers and Roman coffins excavated from various parts of the city - a fine archaeological site in its own right. 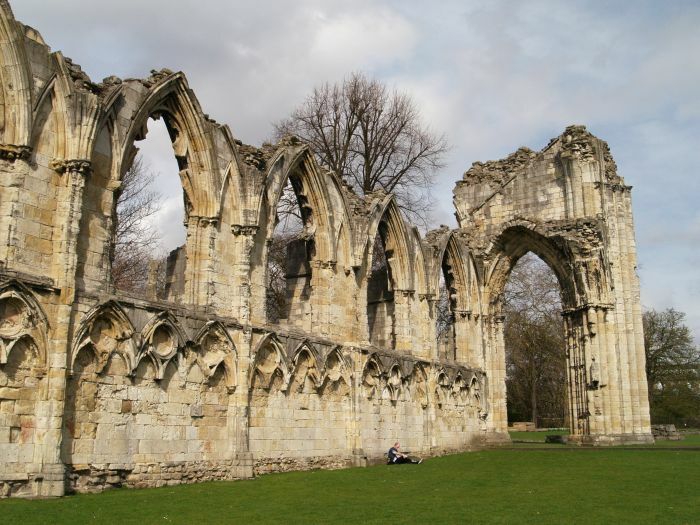 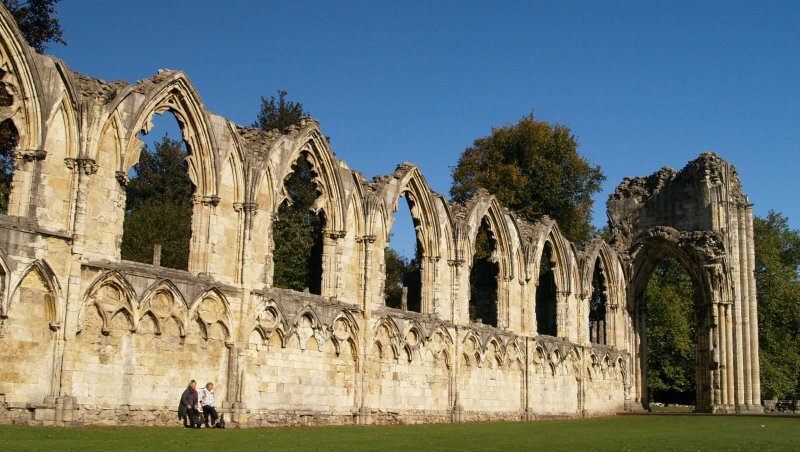 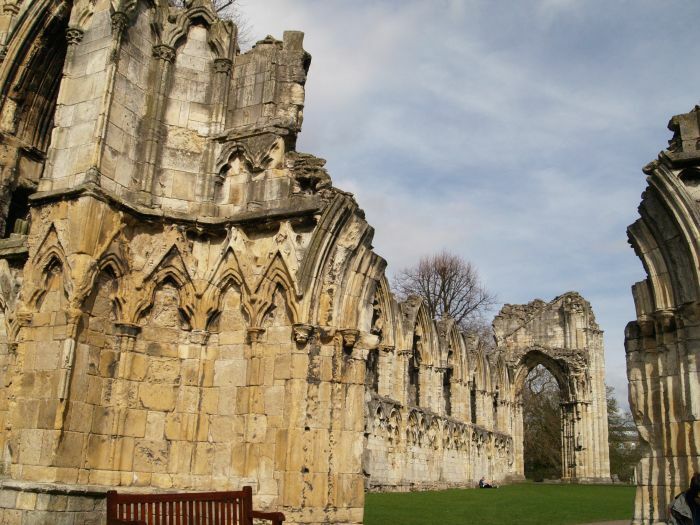 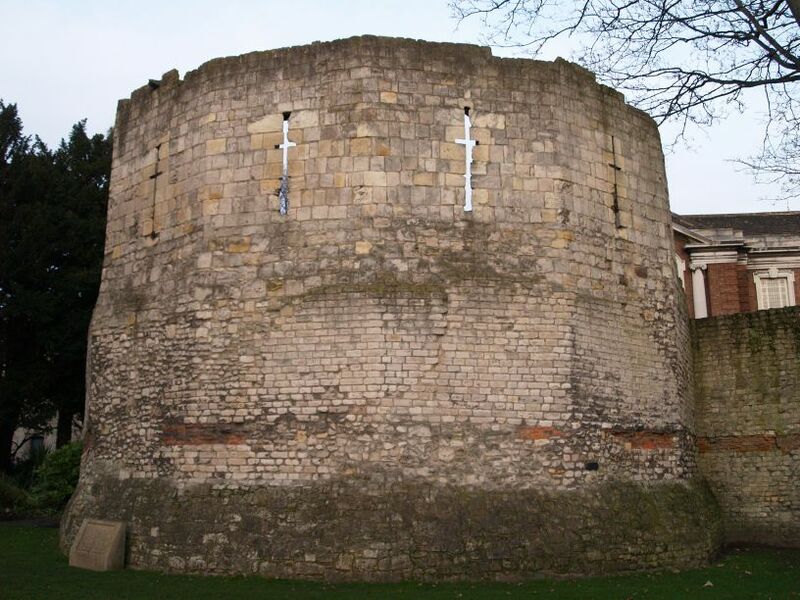 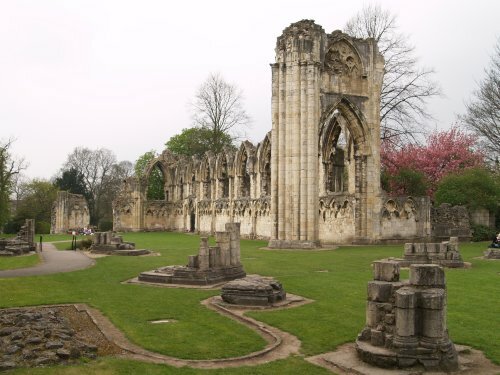 The tower was originally part of the Roman legionary fortress of Eboracum - the Roman name for York. 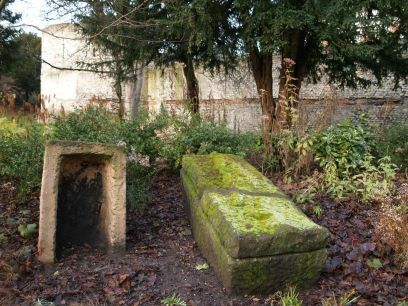 The 'easy to miss' medieval house to the right of St Olave's Church, on either side of the church and house there are walls that protected St Mary's Abbey, but helpless against the will of Henry VIII. 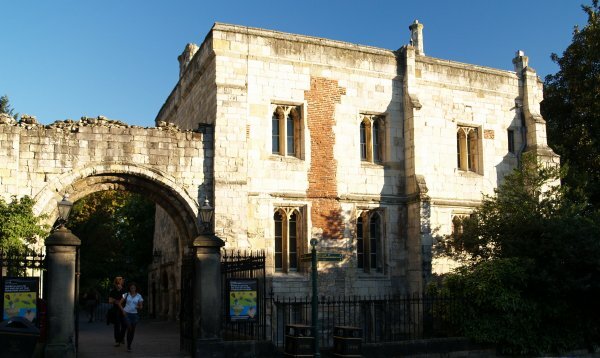 Just up the road from the library in Museum Street, is an interesting bit of architecture that was once the 'Thomas Hotel', now know as the bar 'Thomas's of York'. 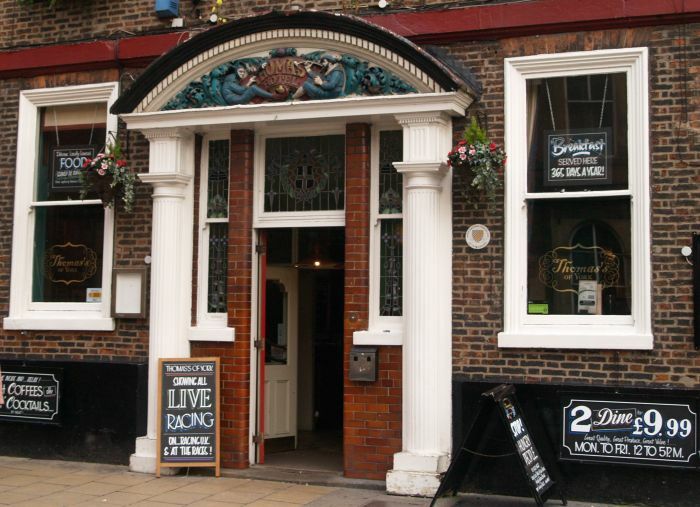 The carving over the doorway entrance is a particularly striking elaboration on some theme! 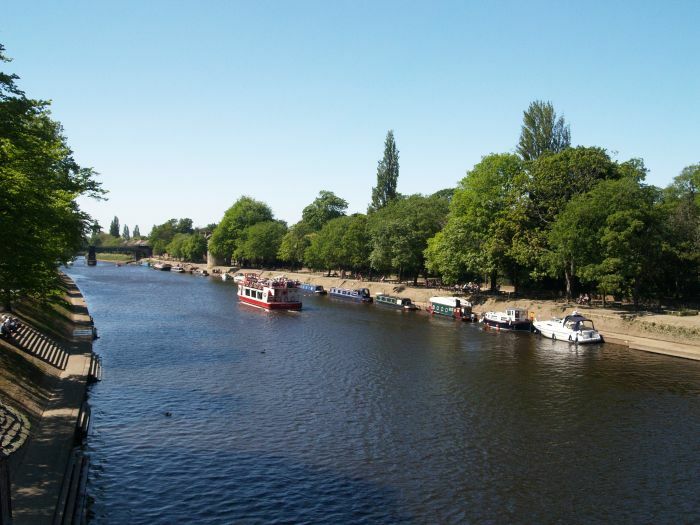 The River Ouse with the Museum Gardens on the right.